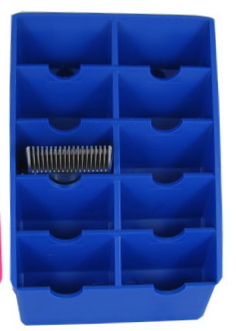 Keep your valuable clipper blades organized and protected! Blade Racks can be stored virtually anywhere and are great for keeping the tools of your profession out of harms way. Includes 2 screws for easy wall mounting.